Social media is a big source of big data. Marketers that can link consumer responses from social media to a record in a database can come close to achieving a full view of an individual. 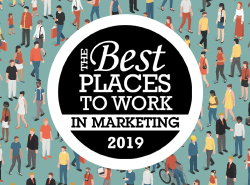 Chief Marketer spoke with Ben Salmon, global solutions owner at Pitney Bowes Software, about the challenges and potential rewards of incorporating this data into marketing campaigns. CHIEF MARKETER: How does this type of analysis differ from traditional analytics? SALMON: It’s unstructured. If we were doing behavior analytics, we would look at a sequence of data. We’d know [the source], and could derive what [a consumer] would do next. But in social mediums, a consumer could be blogging about a number of different things. There’s irony and sarcasm. But although the data is unstructured it doesn’t mean we can’t derive insight. The kinds you would get back initially are the kinds of language consumers use to talk about the product or service, and the type of people who are having those conversations. That gives us great insight, but from what I would call a brand planning perspective. What are people saying, where, how, and share of voice. [The challenge is] linking that back to a customer and using it to interact with customers. That is utopia for a lot of people. CHIEF MARKETER: So is social media analysis only for branding purposes? SALMON: No, but organizations need to understand what they are trying to do with social media – and not blur the lines. If they are using it as a sales channel, fantastic. Dell makes people aware of great offers. But we can easily use social media as a customer service channel and embrace that channel to interact with people who are expressing their frustrations. On the macro level, if a marketer understands who is having the conversation, what they are saying and where, that affects their bought media strategy. It influences where to place the next set of banner ads so they draw better conversion, or which search terms to bid on, and what sort of wording to use in display advertising. CHIEF MARKETER: How can a marketer link a customer or prospect to a specific social media presence? SALMON: A marketer could do a competition, like a sweepstakes or a game, in which the entry form captures name, address, twitter handle and Facebook ID, and then link the social profile with information in the [customer or prospect database]. From there, a marketer can determine how many existing customers or prospects are on Facebook or Twitter, and whether these are good channels to use for customer acquisition. 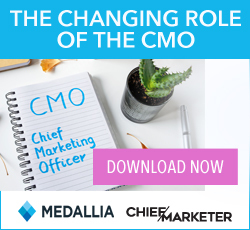 CHIEF MARKETER: Then what's the next step? SALMON: The cornerstone is a set of customer journeys. What are you trying to get this customer to do next? Each individual has a different journey. For some it’s a welcome, onboarding message. People at the end of, say, their insurance policy have a retention or churn prevention path, and you might give cross-sell and upsell messages for those halfway through. Marketers can do it on their own, but they’ll need technology to help them. There’s nothing stopping a marketer from going out, logging on and doing hashtag searches for a given brand. But the amount of time spent will be huge. You can have all of this data but if you just sit there analyzing it for the rest of your life and not using it, you are not going to get anywhere. CHIEF MARKETER: Earlier you mentioned irony and sarcasm in blogging.What are some of the hazards in trying to analyze sentiment? SALMON: Technology makes it easy to gather the data and filter what you are interested in. What it doesn’t do is allow you to identify what it means to you and your brand. As an example, consider a car. A blogger could say this car is really “great” – it’s broken down five times. On the flip side the blogger could say the car has awesome limited slip differential, and the word limited could pop out. What we tend to look at is understanding what people are saying in regard to your key goal [whether sales, or brand sentiment analysis]. There is an element of filtering and semantic analytics—categorizing sentiments into positive, negative, neutral. CHIEF MARKETER: What privacy concerns should marketers be aware of when considering social media data? SALMON: It does depend on the source. Look at Facebook. It’s a hugely regulated social network. Marketers really have to get opt in to speak to participants. It’s vice versa with regard to Twitter. As long as you follow me, you can speak to me. But it comes back to direct marketing principles. You need to get opt in from customers, and you can’t bombard them with irrelevant communications. I think everyone goes into these social networks knowing it is public information. Certainly on Twitter and Facebook due to all the bad press Facebook has had regarding them changing their privacy standards every five minutes. So people are aware, and they have the choice of either not participating or locking [their information] down. CHIEF MARKETER: What factors should go into how socialgraphic data is weighted in models, compared to demographic and psychographic information? SALMON: Socialgraphic data is not aggregated. Demographic data tend to be aggregated. There tend to be many people in a cluster or lifestyle group. That is not a bad thing, but if we look at socialgraphic data, the challenge is linking it back to an individual. What they are giving you is a huge amount of intent to purchase, brand loyalty, brand advocacy information, plus their social status, allowing you to determine whether you want to interact with them. CHIEF MARKETER: This goes beyond the sort of thinking that relegates social media strategies to interns. SALMON: Imagine most companies. How many people are in their call center, how much training and money has gone into the call center? Then you have to ask yourself, how private are those conversations? Very private. Look at the Vodaphone disaster and the Eurostar disaster. They had two interns on this? How much bad press and PR has that generated? Even if they invest 1% of their costs in CRM I think that would be doing well. Larger, better companies have social media teams.